For this card I used 120 lb heavyweight white card stock as I wanted to color directly on the card base with Copic markers. 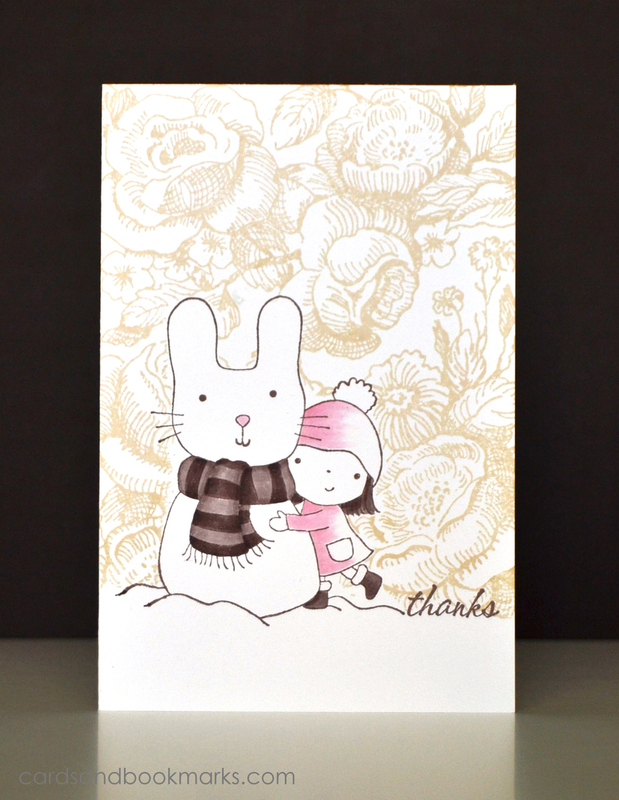 I stamped the snowbunny with Mimi using Memento Rich Cocoa Ink, then proceeded to color the scarf, hair, and the girl’s outfit, oh and the snowbunny’s nose. Next I masked off the image using stamped and trimmed post-it label, then stamped the background using Hero Arts Soft Sand ink. Finlly I stamped the greeting using the same Memento ink. You may find the stamps used for the card above here. Here I stamped the flowers on scrap card stocks, colored them with Copic markers, added highlights with a white gel pen, trimmed them, then arranged them in a bouquet which was adhered to the card base using foam tape. Unfortunately, I did not write down which markers I used, but if anyone wants to know, I can find out. Just leave me a message in the comments. Stamp used can be found here. This one was fun to make! First I die cut the flourish out of scrap paper, placed it slightly off center on a 4″ x 6″ panel, then started spraying Fireworks Summer sky upwards. I kept my hand steady near the center, so the color would be concentrated there. Once done, I removed the mask. The white shadow that can be seen behind the blue flourish is due to this mask. Next I cut out a circle out of the panel, and place a silver glitter circle of the same size in it’s place. 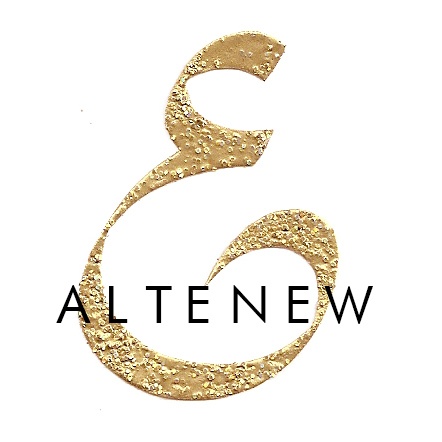 The glitter paper is from Stampin’Up!, and it is the most beautiful glitter paper I have ever seen! All that was left was to glue down the blue flourish(from blue card stock), stamp the sentiment, and adhere the white resin flower (from Michaels). After spraying the panel, I kept it under some weight to straighten it back. In the end, I adhered this panel on to a card base. 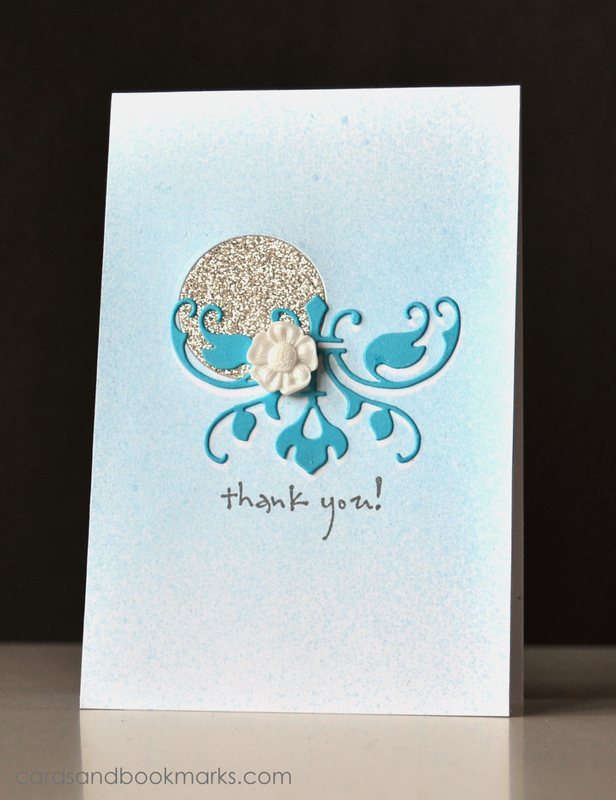 Here I embossed the background image in white on a piece of card stock (I am not sure what color to call it? it is not gray, it is somewhere between very light blue and green). I stamped and Copic colored the pine cone on a piece of white card stock, then trimmed around it selectively to create the rectangular panel, believe me, this took me several tries before I got it right. 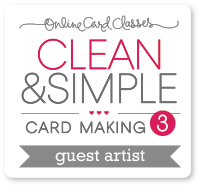 Next I stamped the greeting on scrap card stock, trimmed it and raised it on foam tape to add a bit of dimension. You can find the stamp supplies for today’s card at the Penny Black blog. All of your cards today are gorgeous! You did a great job with your Copics and with the fussy cutting! 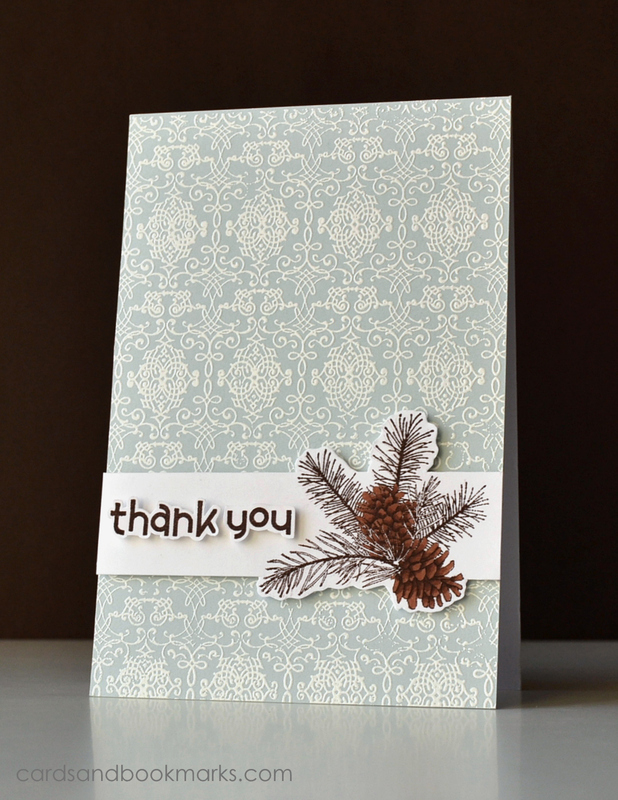 I can see why the pinecone card was featured – its stunning! 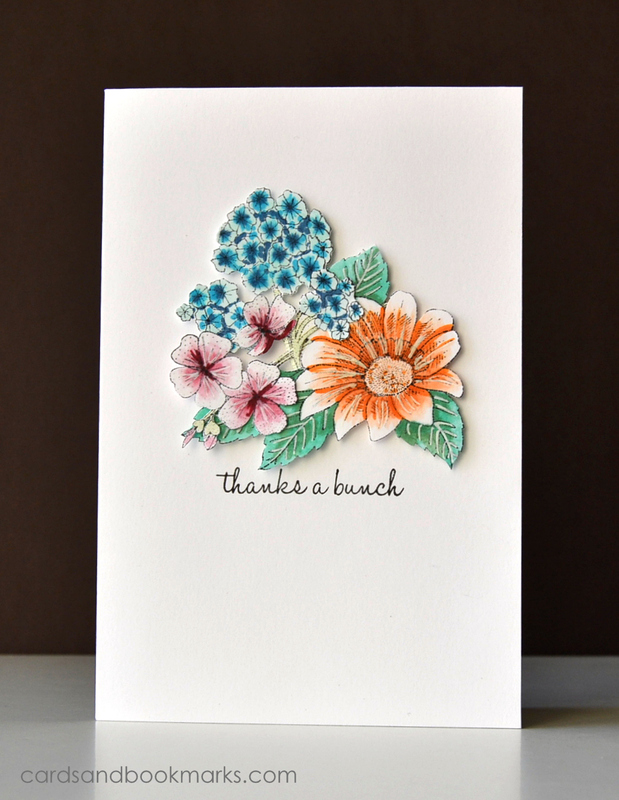 Also, I love that bold floral stamp as a background in the top card-very unique! TFS!! The cards are lovely .. I love the backgrounds on the top and the bottom cards ( I thought that the bottom card was made from that pattern card stock ) … thank you for sharing ..
Oh my God Tasnim! You are killing me here. I LOVE these cards. They are so cute, absolutely beautiful, elegant, and chic. All great cards–today’s is my favorite! Great job on the guesting, Tasnim! So happy the folks at Penny Black got to see your work. The floral snow bunny is absolutely amazing! Love that for a non-traditional background. And your sentiment along the snow line is just perfect. A wonderful round of cards to finish 2013!! Love that cute snow bunny, the dimension of your flowers, that stunning glitter/flourish combo and the cut-out sentiment!! Penny Black have been lucky to have you!! Happy New Year my friend!! You rocked the guest design over PB!! What a treat to see your takes on the PB Stamps! LOVE all the projects! Beautiful! Your copic coloring is amazing, especially those pine cones…they look totally real!